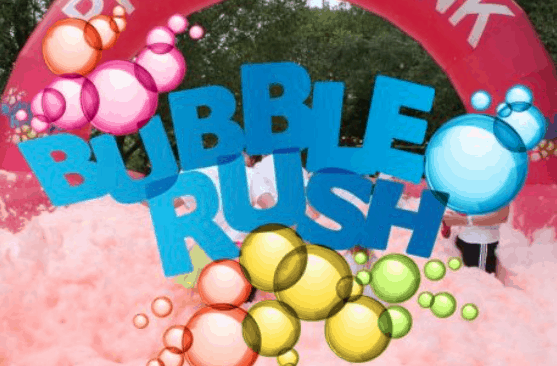 The 2019 Bubble Rush is open to the whole family and included in the registration (for all participants age 5 years and over) is a white tshirt for you to wear on our 4km course. As you pass through our bubble stations, you will be covered in coloured foam from yellow to pink, green to blue! You will feel like you’re in a giant washing machine! Taking place on Sunday May 12th 2019, we will be holding two runs at 11.30am and 1.15pm. We are currently taking registrations for the 11.30am run and will open the 1.15pm run once this is full. 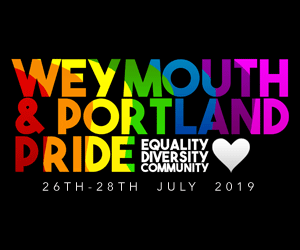 This is part of Dorset’s Brightest Weekend with the Colour Run on Saturday 11th May 2019.